Special Frontier Force is joining Human Rights Watch and other Human Rights Advocates to oppose Beijing’s Winter Olympics Bid. Red China deliberately violated the Spirit of Olympic Charter and cannot host Olympic Games. Please join this effort to oppose Red China’s Crackdown on Human Rights. With just days to go before the International Olympic Committee decides whether Almaty, Kazakhstan, or Beijing will host the 2022 Winter Olympics, human rights advocates are waging a vigorous campaign to dissuade the committee from choosing China, citing a widening crackdown on rights defense lawyers, political activists and ethnic minorities. 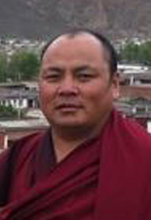 Then there is the argument made by Golog Jigme, a 46-year-old exiled Tibetan Buddhist monk who is making a personal appeal to Thomas Bach, the International Olympic Committee’s president, explaining how the committee’s decisions can affect ordinary people and embolden a government that is increasingly inured to criticism of its human rights record. As of Monday, Mr. Bach, who also lives in Switzerland, had yet to respond. Golog Jigme said in an interview that he was troubled that the International Olympic Committee would award the Winter Games to Beijing after the Chinese government broke promises it made during its earlier bid for the Olympics. “How can the I.O.C. award such prestige to China?” he said. Golog Jigme’s account suggests the lengths to which the Chinese government has gone to suppress public narratives that conflict with its official version of events. “Leaving Fear Behind” featured ordinary Tibetans speaking openly about their misgivings at a time when much of the country was portrayed as ecstatic about the games. The film was largely the handiwork of his friend Mr. Wangchen, a businessman and self-taught filmmaker who spent five months interviewing Tibetans about their lives under Chinese rule. The 40 hours of footage were condensed into a 25-minute film that focused on their frustrations over the flood of ethnic Han Chinese migrants to the region, the increasing limits on religion and their reverence for the Dalai Lama, the exiled Tibetan spiritual leader whom Beijing considers an enemy of the state. In March 2008, just days after the film was smuggled out of China, the authorities detained both men. Over the next 52 days, Golog Jigme said, he was tortured by the police, who wanted him to reveal the identities of the Tibetans who had spoken on camera. “I even had to pretend that I didn’t know my father, who also appeared in the film,” said Golog Jigme, who said his interrogators hung him by his arms from the ceiling for hours while burning him with an electric baton. Although he was eventually released, he was detained again, in 2009 and 2012. It was during the last detention that he escaped his captors. In May 2014, after 20 months hiding in the mountains of Tibet, Golog Jigme fled across the border to India. In January, he arrived in Switzerland. It is unclear whether his plea to the International Olympic Committee will have any impact. Human rights advocates are not especially optimistic. Beijing is considered to have a good chance of winning the 2022 Winter Games, given its success in orchestrating the 2008 Olympics. Then there is the dismal human rights record of Kazakhstan, which also jails government critics and has been led by the same man, Nursultan Nazarbayev, since 1989. In a letter released last week, Human Rights Watch called on the International Olympic Committee to ensure that whichever country wins the games abides by the package of overhauls that was adopted by the committee in 2014. The Olympics Charter, as it is called, requires host countries to uphold press freedom and identifies “human dignity” as an essential element of the Olympic movement. In their public letter last week, the more than 200 signers of the petition calling on the International Olympic Committee to reject Beijing’s bid said such a position was not good enough. 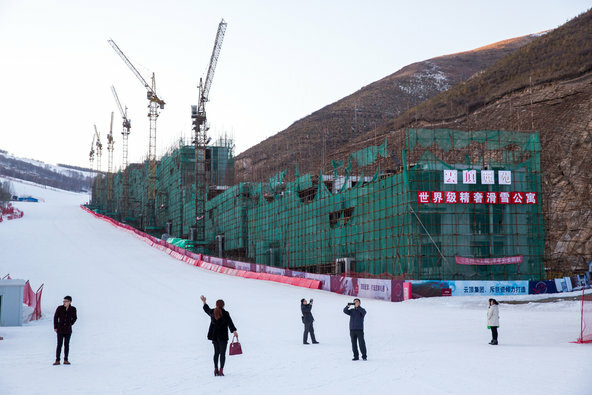 Granting Beijing the 2022 Winter Games, they said, would be interpreted by China as an international endorsement, emboldening a government that has become increasingly intolerant of dissent. Sinosphere, the China blog of The New York Times, delivers intimate, authoritative coverage of the planet’s most populous nation and its relationship with the rest of the world. Drawing on timely, engaging dispatches from The Times’ distinguished team of China correspondents, this blog brings readers into the debates and discussions taking place inside a fast-changing country and details the cultural, economic and political developments shaping the lives of 1.3 billion people.